BORDER disputes are not uncommon in public international law. Some of them only last a short while before they are amicably resolved by the parties. Others, endure for a long time before they are finally resolved by an international adjudicating body. A good example is the dispute between Qatar and Bahrain. The territorial dispute (concerning sovereignty over Zubarah, the Hawar Islands and Janan Island) lasted a decade before it was finally resolved at the International Court of Justice (ICJ), the Netherlands. Border disputes occur sometimes due to the absence of a boundary agreement between the two disputing states. But there had also been cases of disputes caused by the imprecision (vagueness or ambiguity) of the boundary agreement itself. According to the ICJ, boundary agreements cannot be presumed to be complete, unless there is explicit evidence to show to the contrary (Indonesia vs Malaysia, ICJ 2002). It is generally understood that the Malaysia-Singpore border has long been settled (defined) by an agreement signed on Aug 7, 1995, intended to delimit the territorial waters boundary in accordance with the Straits Settlement and Johor Territorial Waters Agreement 1927. Annex 1 of the 1995 Agreement contains 72 geographical coordinates running some 50 nautical miles along the thalweg (deepest channel) between the western and eastern entrances of the Straits of Johor. It should, however, be mentioned that the boundary drawn by the 1995 Agreement does not exactly correspond with the deepest channel of the Straits of Johor as described in the 1927 agreement. The 1995 Agreement prevails over (supersedes) the 1927 agreement in the event of any inconsistency between the two agreements. The 1995 Agreement states that the border “will be final” and will not be influenced by any variation of the depth or alignment of the deepest channel of the Straits of Johor. This is an important principle because reclamation activities (by Malaysia and Singapore) in the Straits of Johor can affect or alter the depth of the waterway. However, the border outside the points agreed to in the 1995 agreement has apparently “not been determined” and now becomes an area of dispute. Given the “grey nature” of the area, Malaysia had published a map in 1979 defining its territorial seas and continental shelf. In April 2005 Malaysia and Singapore signed an agreement to end their disputes over land reclamation activities in the Straits of Johor. Singapore agreed to modify the design of the reclamation at Pulau Tekong, pay the cost of scour protection works at Tanjung Belungkor Jetty and compensation to Malaysian fishermen. Malaysia agreed to be responsible for the full cost of scour protection works at Pularek Jetty and to terminate its arbitration case against Singapore. In October, Malaysia published the Federal Government Gazette P.U (B) 587, showing changes to the Johor Baru port limits, resulting in a Diplomatic Note (protest) from Singapore on Nov 5. A month later, on Dec 4, the Singapore Ministry of Transport expressed “grave concern” that Malaysia purported to extend the Johor Baru port limits in a manner which encroached into Singapore Territorial Waters (STW) off Tuas. 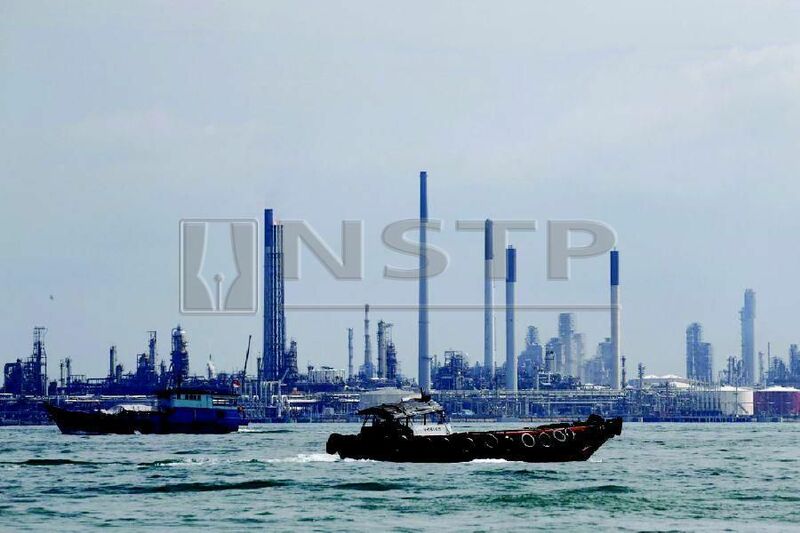 Singapore also claimed that vessels from the Malaysian Maritime Enforcement Agency and Marine Department Malaysia had repeatedly intruded into Singapore territorial waters off Tuas. On Dec 5, Transport Minister Anthony Loke stated that the altered port limits for the Johor Baru Port have not in any way encroached Singapore’s territorial waters. He said that Singapore had, in recent years, carried out extensive land reclamation in the area. It is trite law that land reclamation does not extend a state’s base points and/or baselines, and therefore does not extend its territorial waters. On Dec 6, Singapore claimed that Malaysian government vessels had been intruding into its waters off Tuas. Singapore Minister for Transport Khaw Boon Wan said that in view of these “provocative developments”, Singapore will extend the Singapore Port Limits off Tuas. Malaysia immediately protested against it. Prime Minister Tun Dr Mahathir Mohamad said that the Malaysian government is prepared to conduct a survey on the maritime border of Malaysia and Singapore to see if it is true that Malaysian ships are intruding into Singapore territorial waters. On Dec 7, Malaysia proposed to Singapore for both countries to stop sending assets into the disputed area pending discussions on outstanding maritime boundary issues. Singapore, however, disagreed with the proposal. On Dec 10, Dr Mahathir said Malaysian vessels would remain in the disputed waters until the negotiation process on the maritime border between the two countries is settled. Singpore responded by saying that, “Malaysia will be (held) responsible for any untoward situations, (arising) from continued deployment of its vessels into this area”. On Dec 12, Singapore “strongly urged” Malaysia to withdraw its vessels from the disputed waters. The representatives of the two governments are due to meet in the second week of January to find a solution to the issues at hand. different thing altogether. Some of my colleagues wondered whether these “renewed tensions” had anything to do with the return of Dr Mahathir to Putrajaya? Or, are they somehow connected to the dispute over Johor airspace? Malaysia had protested the Instrument Landing System (ILS) procedures for Seletar Airport, and said that they were intended to retake the airspace over southern Johor. Whilst officials from both sides have been urging cool heads to prevail, many are worried that the current war of words from both sides may escalate. I am told that, “Malaysia and Singapore are like a pair of twins; the problem arises when the elder twin becomes bigger and the younger twin becomes older”.